If you aren't subscribed to spaceweather.com news already, what are you waiting for? 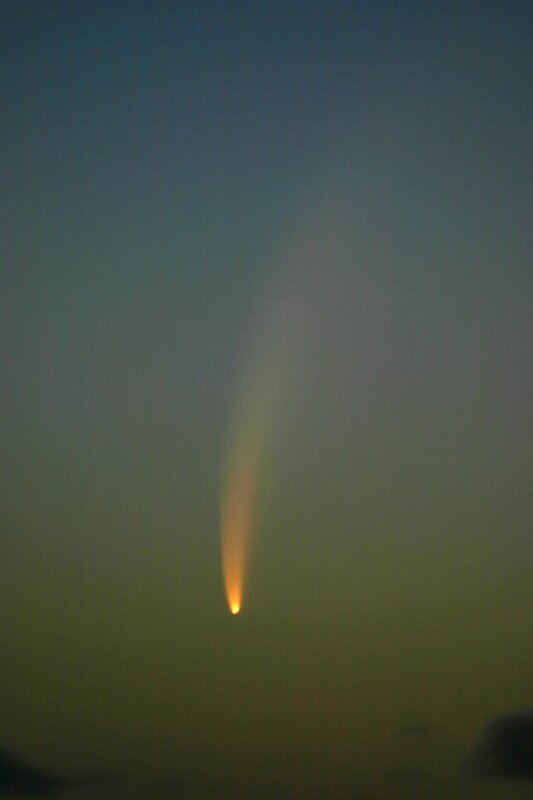 Comet McNaught is no longer visible in the Northern Hemisphere, but you can see pictures of it with its "extravagant tail" which is now visible from the Southern Hemisphere. If you're very lucky, and can find a very dark place, you may still be able to see part of the tail from the Northern Hemisphere though. It's been reportedly sighted in Hawaii, Colorado, and California. It may look like a faint aurora on the western horizon about an hour after sunset. Today's email states that "Dark skies are absolutely required."